SOUTH DUBLIN COUNTY Council will use excess heat from Amazon’s new data centre in Tallaght to warm nearby homes and businesses in Ireland’s first public system based around one of the power-hungry facilities. The local authority recently called for expressions of interest in a multimillion-euro contract to design, build and operate the ‘South Dublin District Heating System’. A district heating system captures waste heat that is then redistributed to homes and premises around an area for functions such as central or water heating. Using “low-grade waste heat” from Amazon’s site at the old Jacob’s biscuit factory on Belgard Road, the heating will be supplied through an energy centre designed and installed by the cloud computing giant as part of its planning approval for the data centre. A not-for-profit called South Dublin DH Company will be set up by the council and tasked with the management and future development of the district heating system. According to a report published yesterday by data centre industry group Host In Ireland, the project will be the first of its kind on these shores. The scheme will provide heating to South Dublin County Council buildings as well as a new residential development made up of 1,200 apartments and 339 student accommodation units, which is currently in the planning process. Properties in the area dubbed ‘Phase 1′ that are deemed “economically feasible to connect” will also be hooked up to the district heating system. This area includes Tallaght Hospital buildings. It is estimated the heating system will reduce carbon dioxide emissions in the area by nearly 1,900 tonnes every year. South Dublin council said the project will decrease emissions associated with fossil fuels and “establish Tallaght as a leader in innovation in the area of climate change”. The capital investment required to connect and supply all guaranteed customers in Phase 1 and provide capacity for future connections is estimated to be €4.9 million. This will be either be entirely funded by South Dublin County Council or as part of a co-investment with an energy service company. The project will also receive funding from the EU’s HeatNet programme, a near-€7 million fund for schemes that reduce CO2 emissions in Europe’s north-west. The council estimated the value of the advertised contract to build and maintain the district heating system is between €5.8 million and €7 million. If additional customers are connected and supplied over a 10-year period, the contract term is estimated to be worth up €14.8 million. Amazon was granted planning permission in August to build the two-storey, 23,283 sq m data centre on lands that previously housed a Jacob’s biscuit factory. One of 23 conditions attached to the planning permission included the provision of an energy centre to collect and redistribute excess heat into the local area. South Dublin County Council’s decision was initially objected by Irish Life, but the pension fund later withdrew its An Bord Pleanála appeal. There are currently 48 data centres in operation in Ireland, mostly in the greater Dublin area. According to previous reports, investment in Irish facilities has surged in recent years and is expected to surpass the €1 billion mark this year, significantly driving up energy demand across the country. A July report by Host In Ireland recommended the introduction of Nordic-style district heating systems using excess energy from data centre developments. 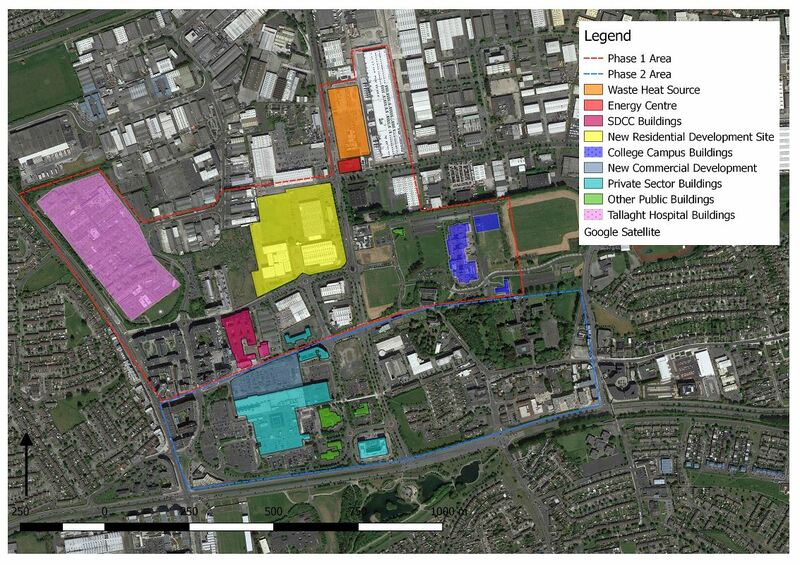 The masterplan for a separate Amazon facility in Dublin, for example, could require as much energy as a small city at times of peak demand.